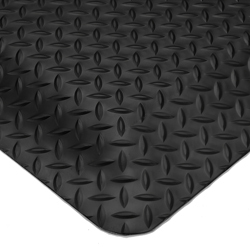 For a more affordable option in a less hectic environment, DiamondPlate’s PVC patterned surface on a closed-cell PVC sponge base gives you durability and comfort. 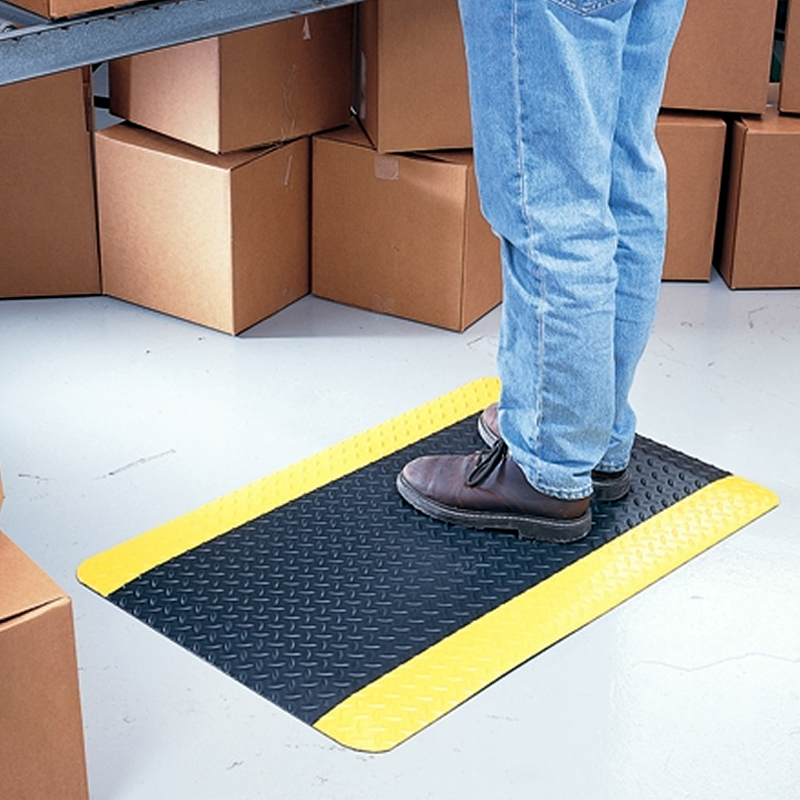 • Ergonomically designed to add comfort and anti-fatigue benefits. • Abrasion-resistant vinyl surface. 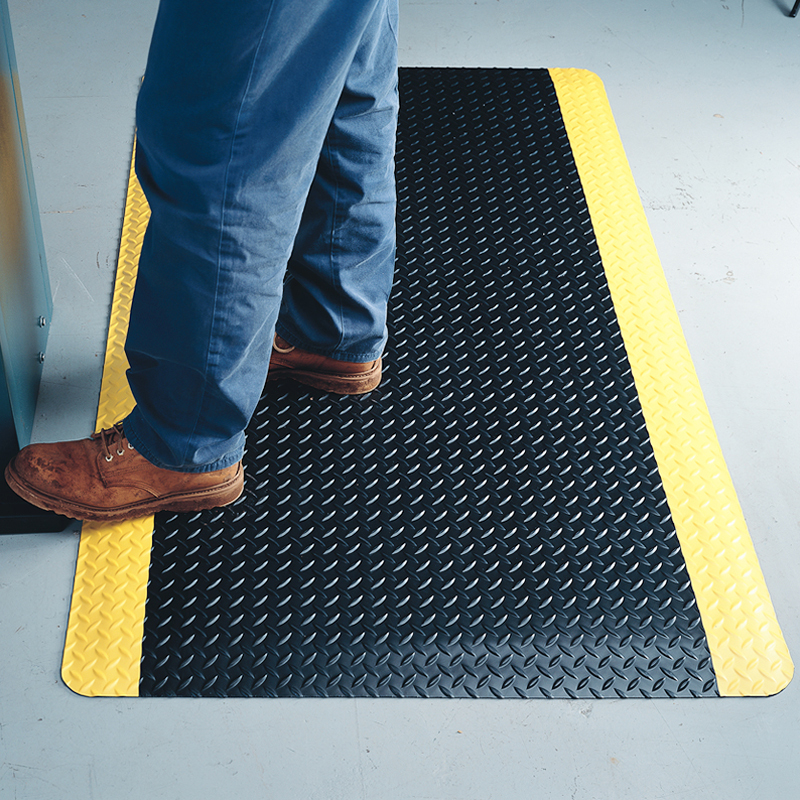 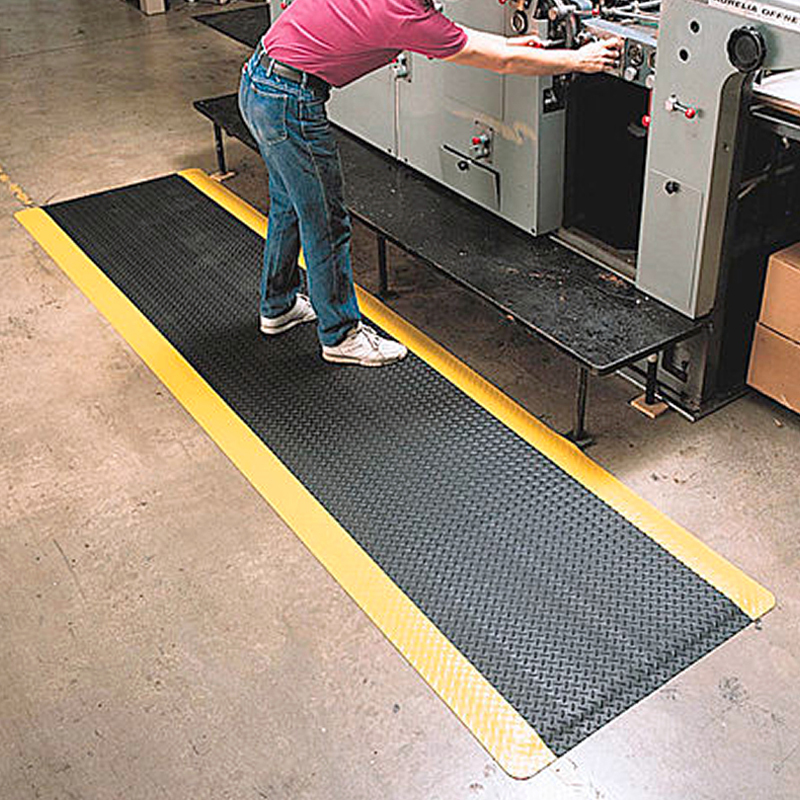 Beveled edges and slip resistant surface provide a high level of safety. • Flex-Link™ base lessens worker fatigue. 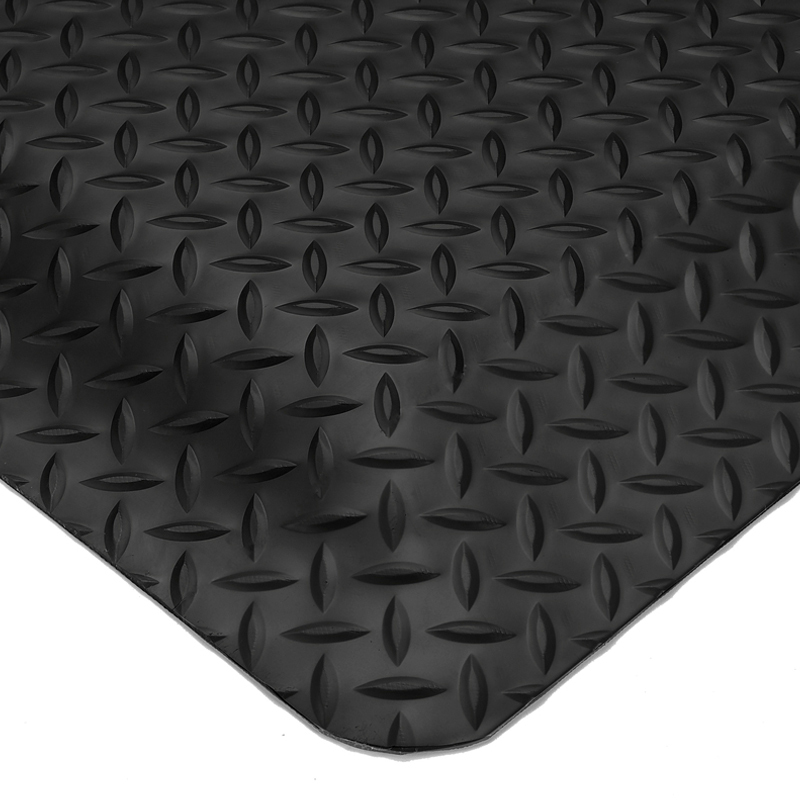 9/16" overall thickness.